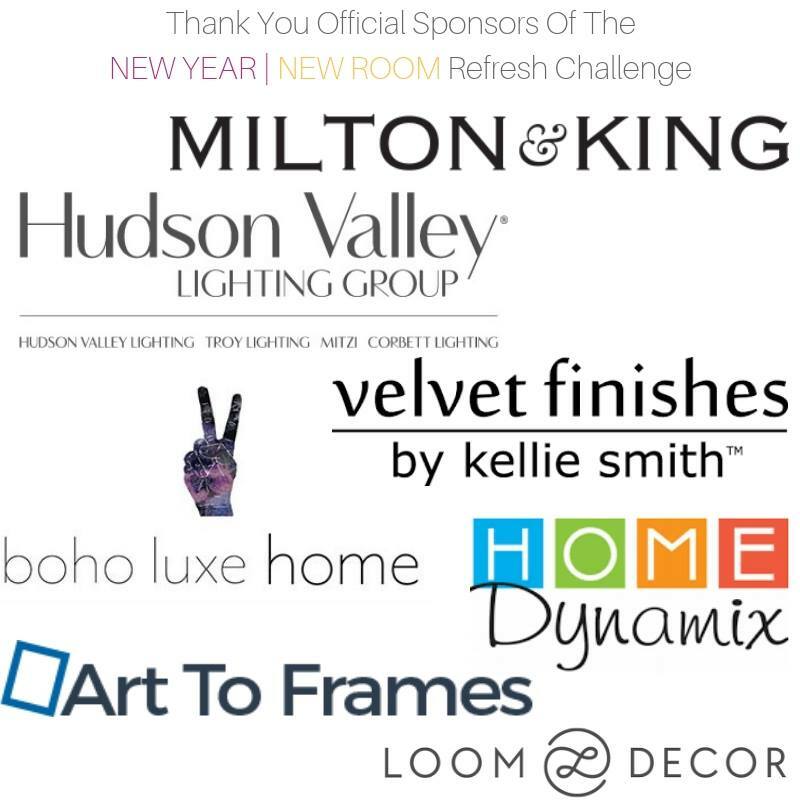 Today was supposed to be the big guest bedroom reveal, but it’s been pushed to next Tuesday due to shipments getting here late for a lot of us in the New Year, New Room Challenge hosted by Casa Watkins Living. Darn snow storms. Despite the hiccups that have occurred with this challenge, I got soooo much done this past weekend that I am super pumped about sharing with you all today. Truthfully, the room is officially 90% done (as of press time, all I was waiting on was the desk from World Market and the subsequent hanging of a mirror over said desk). Art to Frames was the official frame provider for this challenge, and after looking through their extensive inventory and custom options, I chose to go with a gallery wall of four custom frames and an acrylic floating frame. 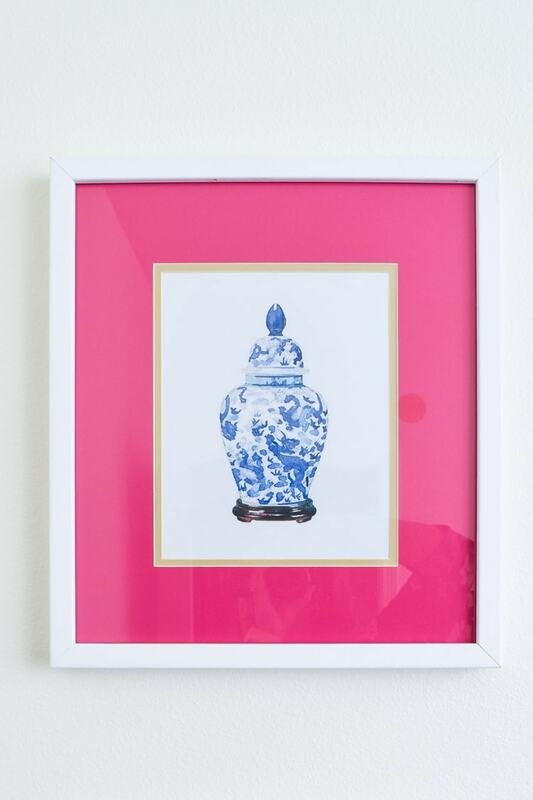 For the gallery wall, I knew I was going to use some free chinoiserie ginger jar prints from The Painted Hive, which meant the prominent colors would be blue and white. Art to Frame’s custom frames allow you to choose your frame, mat colors (yes, colorS, you can have more than one mat! ), and the opening size. 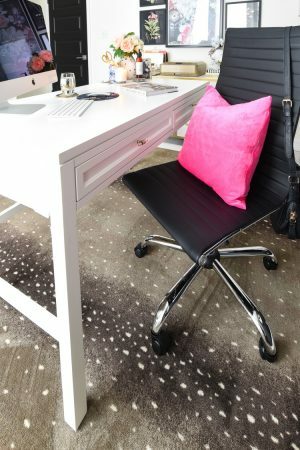 I knew I wanted hot pink to be a prominent color, so I opted for a wide hot pink mat (tulip is the color on their site) and a gold metallic mat (autumn gold) under that to accent my beloved metallic of choice. The frame itself is simple and timeless with no bevels and a smooth, satin white finish. The mat is what really makes the artwork pop, and a collection of four of these makes for a gorgeous gallery wall. 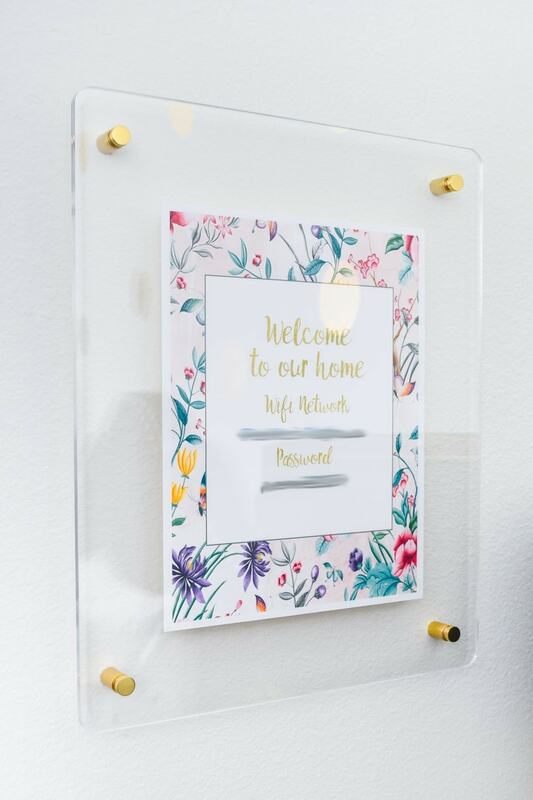 A floating acrylic frame with gold stand-offs holds another DIY printable with our wifi password (that printable can be found over on The Happier Homemaker). I love how shiny the gold stand-offs are. Overall, I’m really pleased with my Art to Frame order, although I do wish the acrylic panels were just a hair thicker. 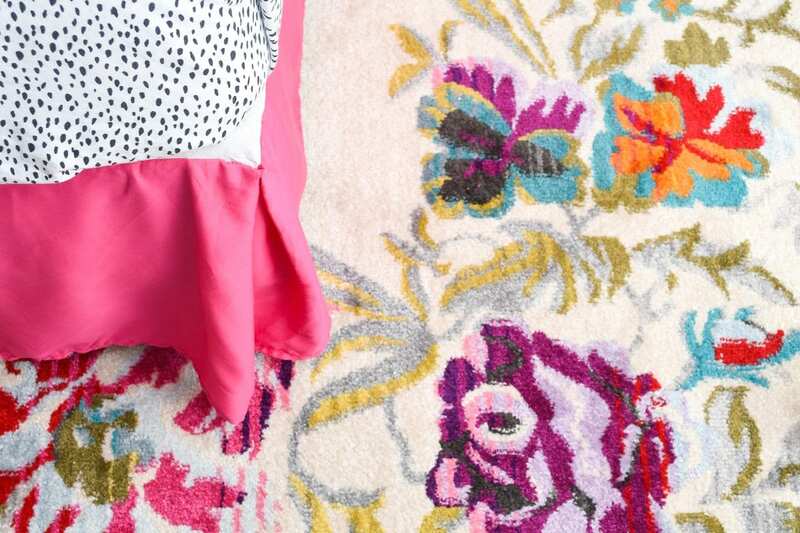 You all saw the rug last week when I debuted our newly installed chandelier from Hudson Valley Lighting, and I can gleefully state I love the bold floral rug from Home Dynamix more and more every time I see it. 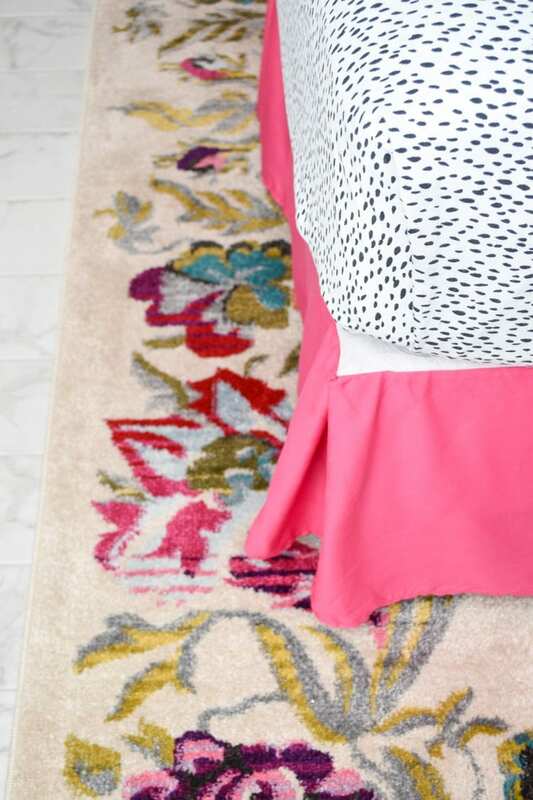 It’s so different, full of florals, bold yet has a neutral and warm backdrop that complements all the other features of the space (and looks FAB under that hot pink bed skirt). 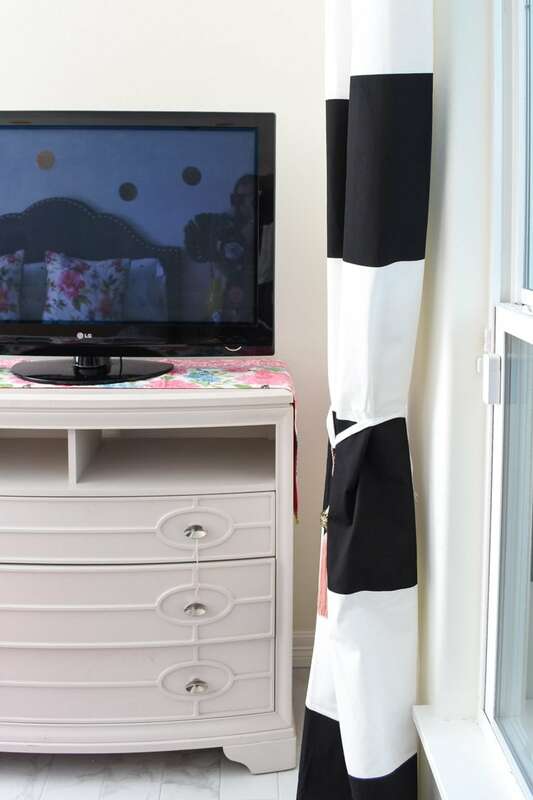 I returned the original blue and white Jacobean curtains I had ordered, and instead I dug out these black and white striped curtains that used to hang in my living room and in my dining room. 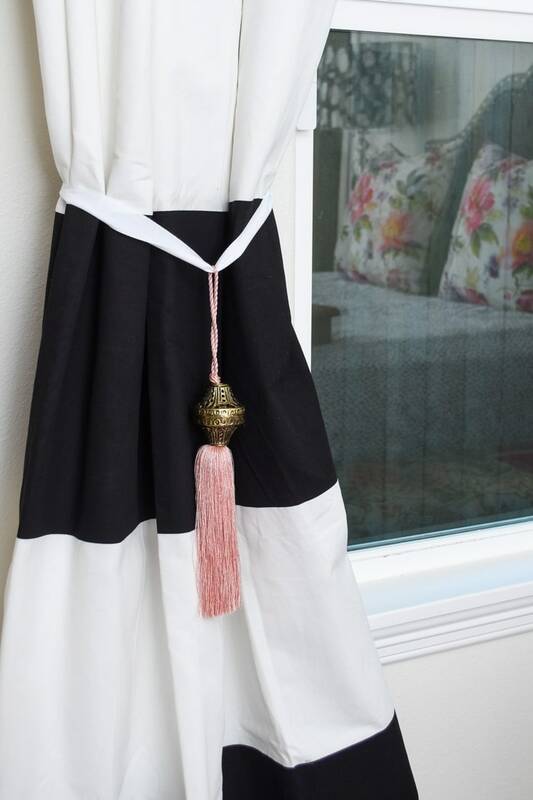 Blush pink tassels from Boho Luxe Home add a chic flair and help keep the curtains tied back to let the light in. 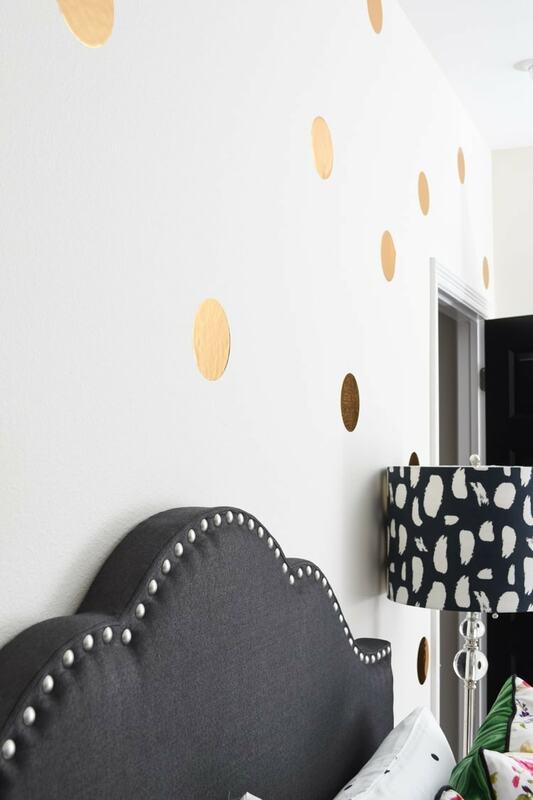 I finally to put to use the 5” gold vinyl circles I had in my décor closet—I placed them on the wall behind the headboard to create an EASY accent wall! My inspiration is for it to look like glitter or confetti scattering across the room… randomly, because I hate precision when it comes to these things. 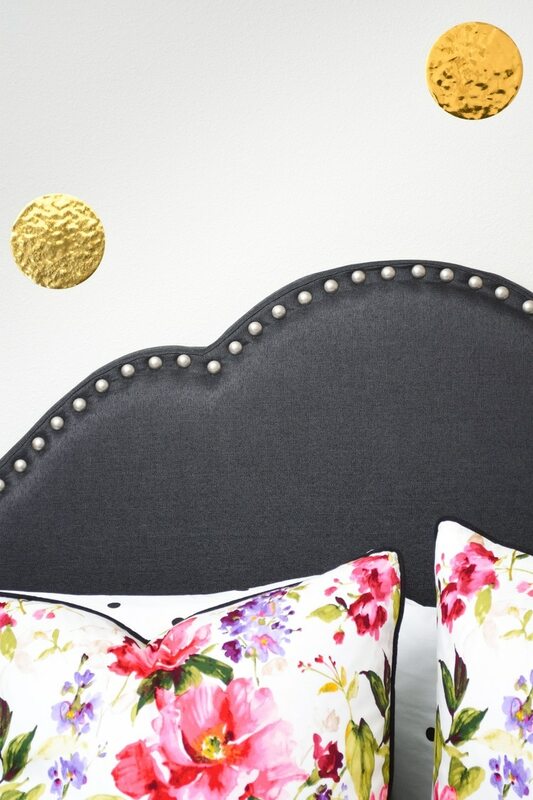 The charcoal linen headboard came in and for the price we cannot say enough good things about it! It’s a bit shorter than the original one we wanted, but for a $100 price savings, we cannot complain. I propped myself against the headboard to see if it’d be comfy for reading or watching TV, and it totally is. The charcoal linen color is very nearly black, which I love. Removing the other bed which had a curved headboard and beefy footboard helped us gain over 1 foot of space around the entire bed! I decided to keep using the speckled black and white sheets from Sabrina Soto’s Target line (back in 2016!) since the sheets are in fabulous shape. 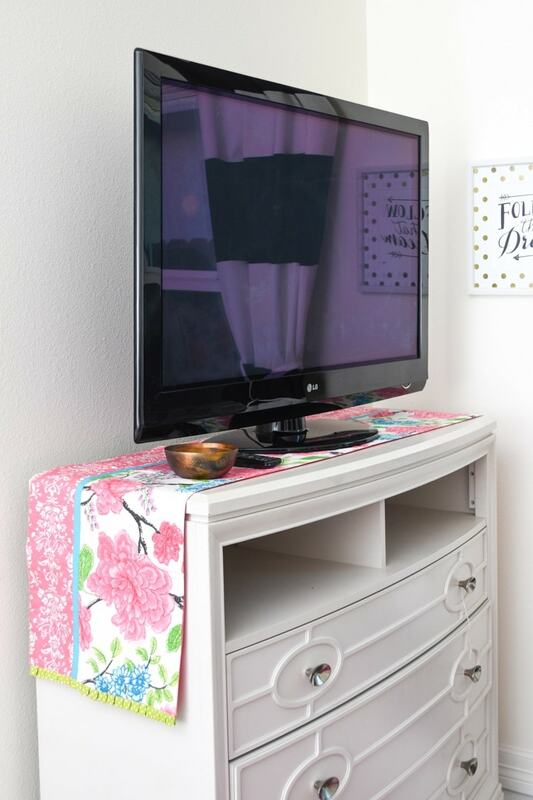 A hot pink bed skirt (that is less than $15) adds a MEGA pop of color to the bedding. A quick steam got out all the wrinkles, and the length is perfect. 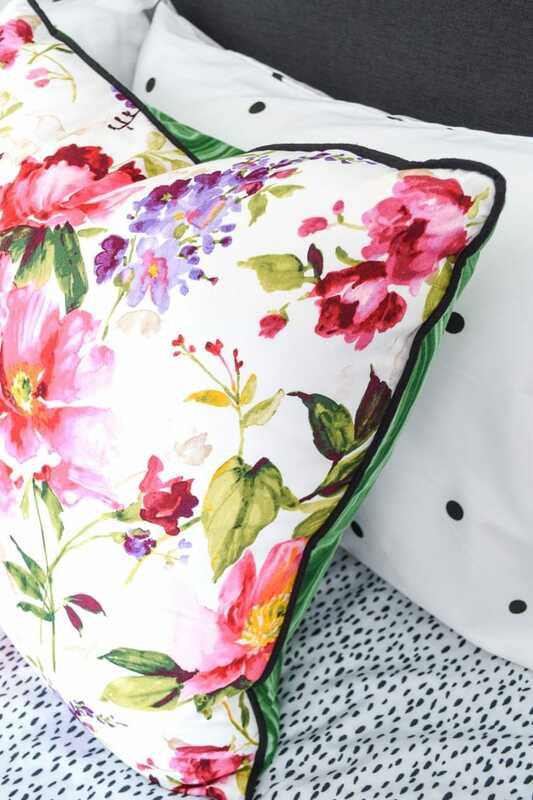 But the true showpiece of the bedding is the pair of 24” custom pillows I chose from Loom Décor. I opted for a beautiful floral print on one side. 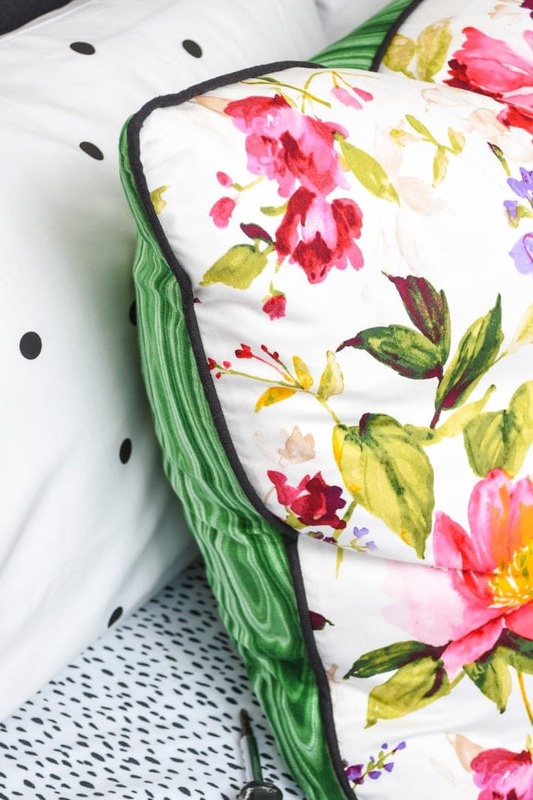 A bold and vibrant malachite on the other and black linen piping to pull it all together. These pillows are so incredibly well made. 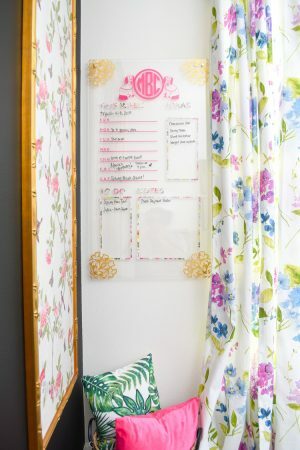 I have some Loom Décor curtains from a master bedroom makeover in my previous home, and FIVE YEARS later I still use and love those panels. I highly recommend them if you need custom drapery or pillows. I moved the TV to another wall directly in front of the bed for optimal TV viewing. 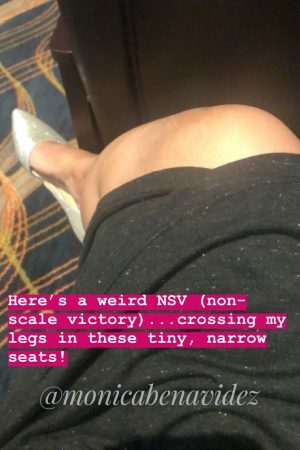 This was possible because of that extra foot of space I mentioned earlier! The bed stayed where it was because we didn’t want to cover up the window and rotating it would result in blocking the door. 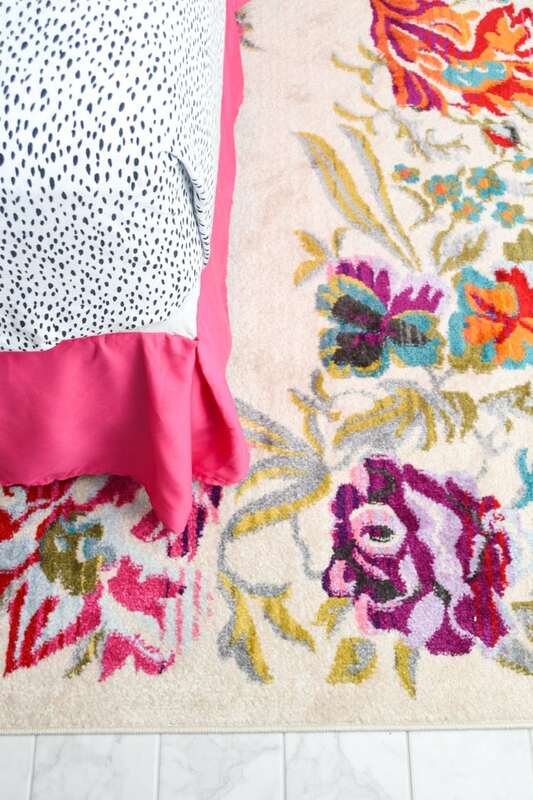 I know this essentially a series of a ton of sneak peeks, but you will get to see the FULL room reveal in a week. Follow along on my Instagram to see previews of the space this weekend. And now, please go visit my friends’ lovely spaces. Several have been down with the flu for a few weeks, so I’m totally pumped to see what progress they’ve made. It appears we all work best under pressure and looming deadlines! 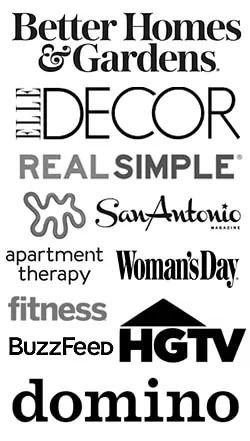 And a big thank you to our lovely sponsors! So many beautiful details Monica! It’s coming together so great. Can’t wait to see the full reveal. 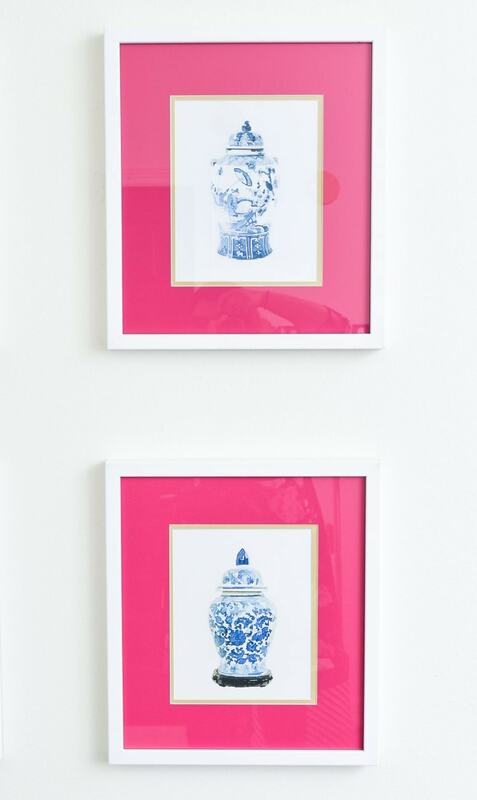 Those art pieces you had framed look stunning! I can’t wait to see it all together next week.